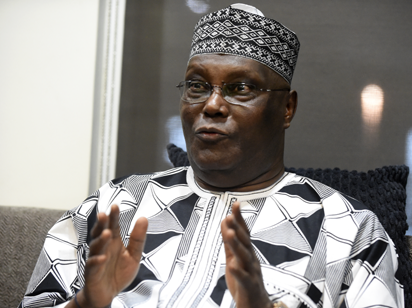 Jos – Former Vice President and Presidential aspirant on the platform of the Peoples Democratic Party, PDP, Atiku Abubakar has promised to run all-inclusive government devoid of tribal and religious sentiments if voted into office. Atiku gave the assurance in Jos yesterday at the State PDP office where he came to solicit delegates’ votes during the Party’s primary election. He frowned against the precarious security situation in the country and promised to reverse the trend if he wins the election both at primary and general levels. Also speaking, the Director-General of his campaign team, Otunba Gbenga Daniel assured the people of quality governance. However, a member of the All Progressives Congress, APC, an ally of the aspirant, Ambassador Yahaya Kwande who also spoke”l said, “Many will be surprise of my presence here at the PDP secretariat which I never stepped my foot in. “If any body says that I’m not with Atiku the person is really insane, many have been waiting for this day to come so that they will see the end of Yahaya Kwande and indeed here I come. I have never entered a hook in my life in politics like this year, I am of the APC I am the one holding Lalong as my star.